Add Extra Punch to Your Airchain! If great sound is your endgame, welcome to the club! It matters, especially here in the Omnia camp. 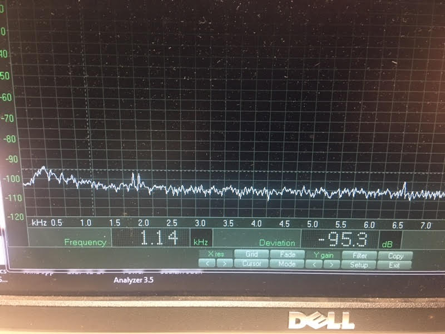 And it’s worth demonstrating one of the newest sonic competitive advantages for FM stations in the last several years: Omnia Direct (AES192). Omnia Direct is an advantage because bypassing the analog composite input of your exciter/transmitter and feeding the entire baseband signal of your radio station digitally straight to the modulator stage means a cleaner signal. Stations using Omnia Direct describe a markedly different sound marrying the processor to the transmitter in this way. One of our clients, Tim Diehl (rfsolutions.us) could tell the difference immediately with Omnia Direct, so he measured it. Here's how it looked! Omnia.9 feeding GatesAir transmitter analog composite IN. Omnia.9 feeding GatesAir transmitter Omnia Direct/AES192 IN. “The signal was just black…no noise…I had to see this,” Tim said. 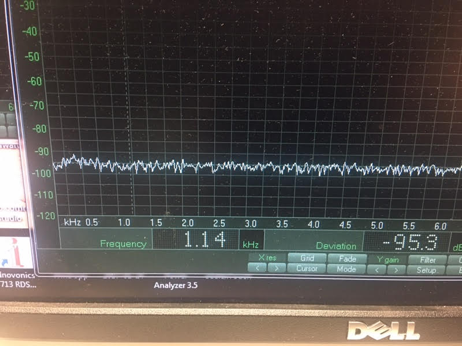 Imagine if you can get Livewire® to your transmitter site, 48khz/24bit resolution means you could have a theoretical 132db of S/N right up until your transmitter. Even if all of your source material is only 44.1khz/16 bit…it’s a difference you should hear! Run your RDS before the composite clipper of one of our processors, and gain even more advantage! For a demo of Omnia Direct (AES192), which is supported in the latest Omnia.11, Omnia.9, and Omnia.9sg processors, contact Paul Kriegler.